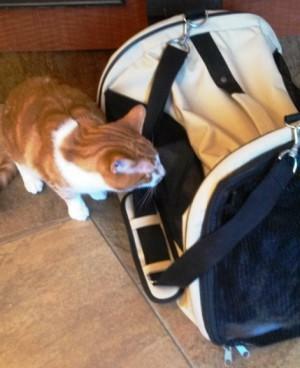 A pet-parent shared this photo of Butters saying hello to their cat in the waiting area earlier this week. Thank you for sharing! We’d love to get more pictures from pet-parents! Whether they’re your pets or Butters (our very own Winslow Animal Hospital cat), we love them! You can submit photos on our facebook page, or twitter @WinslowVets, or send them to our e-mail, info@winslowanimalhospital.com.